Summernight Markets are the place to be! 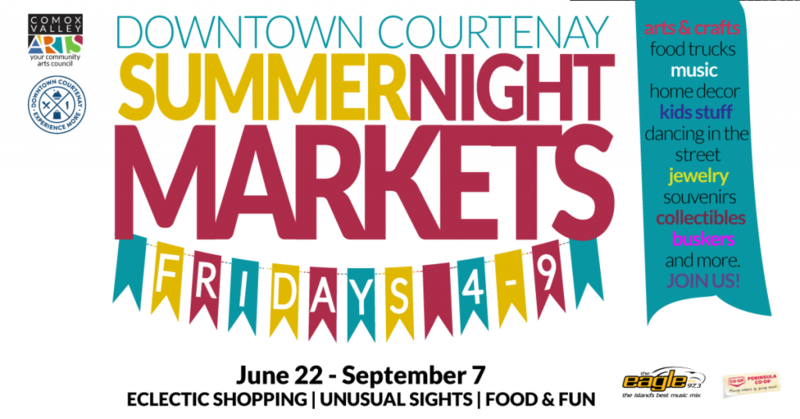 If you haven’t made it yet, get yourself to the Downtown Courtenay Summernight Markets! 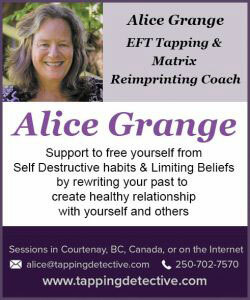 Produced by Comox Valley Arts, and wonderfully supported by Downtown Courtenay Business Improvement Association, 97.3 The Eagle, Peninsula Co-op and What’s on Digest Comox Valley, it’s a fun addition to the incredible summer schedule available here in the the Valley! 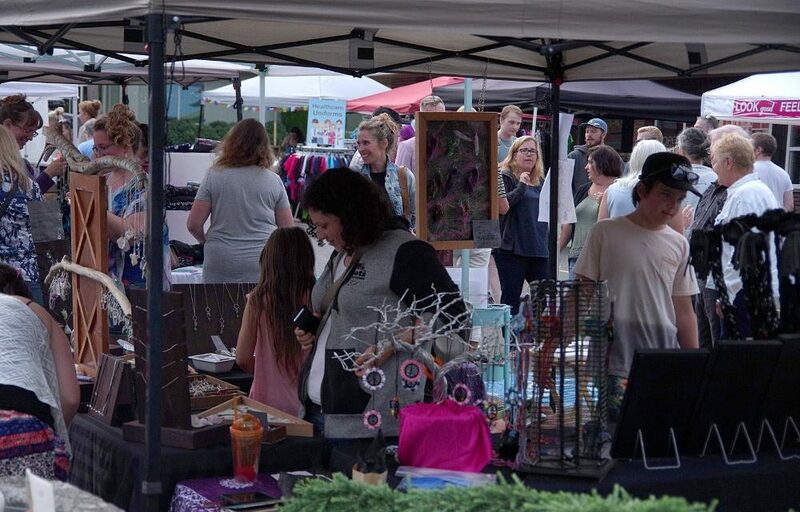 Located at the corner of England Ave & 5th Street, you’ll find a great array of arts, crafts, independent and local business vendors as well as some food, great music, and unique community-sourced demonstrations. Every Friday, from 4-9pm… now til September 7! August 3 – on stage – Side Effect! August 10 – on stage – em.ash with great “dance-shopping” tunes, busker – Ryks Davies, and belly-dance demos by Temple Bellyfusion Dance. Follow the Markets on Facebook for vendor, entertainment and other fun updates! PreviousGot Your Ticket to Win It?